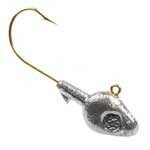 Home / MINNOW HEAD-SHAD DART / Minnow Head Painted with eyes – 3/16 – 1/4 – 3/8oz. Minnow Head Painted with eyes – 3/16 – 1/4 – 3/8oz. Weight Choose an option3/16oz.1/4 oz.3/8 oz. 3/16oz., 1/4 oz., 3/8 oz. Minnow Head Painted with eyes - 1/48 - 1/32 - 1/16 - 1/8oz. 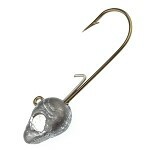 Minnow Head Unpainted with eyes - 1/48 - 1/32 - 1/16 - 1/8oz.